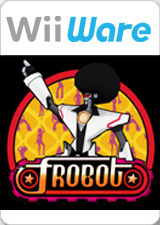 Frobot: Fear the Fro! Frobot’s five super-fine girlfriends have been captured! Take down your enemies with energy blasts, missiles and mines. Solve physics puzzles with boxes, teleporters, catapults, conveyor belts, and more! As you rescue your lady bots, gain new abilities like the Robo Hustle dash and the Jive Stalker disco ball. Then use your powers to fight the BotBlocker Corporation and save robot kind! The graph below charts the compatibility with Frobot since Dolphin's 2.0 release, listing revisions only where a compatibility change occurred. This page was last edited on 17 January 2018, at 05:42.